I hope that you have had a splendid Easter weekend? I was lucky enough to have Sunday off from work, which is quite a rarity. The reason being, we have child actors in our show (they play the young version of Tarzan) and because of child work laws here in Stuttgart that meant that the boys are not aloud to perform in the show on a public holiday. So for that very reason, the whole cast had Sunday off from work, as well as our normal Monday. Two days off from work in a row, I felt like a "non performer" having a regular weekend, rather lovely. Dennis was also off from work on Sunday and Monday, but spent the whole time shifting between the sofa and bed, with a stinking cold. Being locked up at home for a few days you'd think that we'd be at it like rabbits, (crafting I mean). Unfortunately, not so much the case. We did have a play around with a little Easter Hooking. We came up with come crochet Easter Eggs, but haven't quite tweaked the design, so it's going to have to be future project that we pick up for Easter next year. We didn't get a huge amount of hooking action done over the weekend, but we were once again hard at work on the blog. 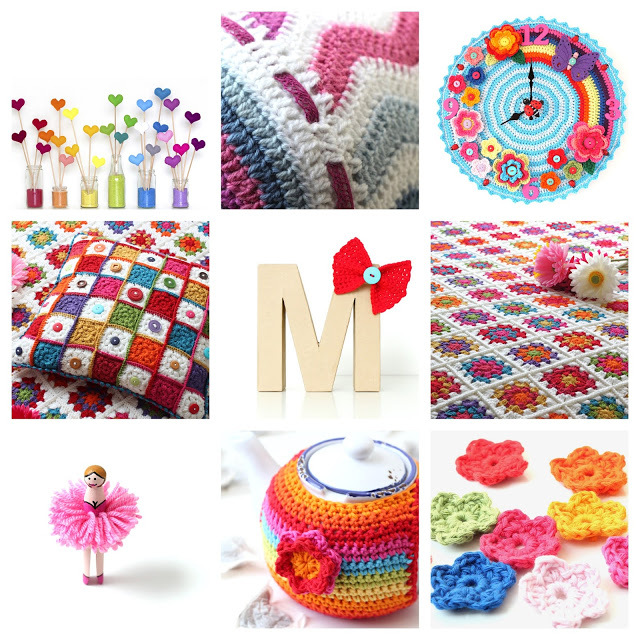 We spent a lot of time updating the past blog posts from my old blog "Crochet and Crafts According To Matt". Last month I managed to be a little heavy handed whilst playing around with the template of my old blog and managed to rearrange all of the posts. This meant that links and information missing, not to mention, the text and pictures were all over the place. I was devastated when I accidentally did this. All of my previous hard work had been ruined. Dennis did his best at trying to fix my old posts, but after some thought, I decided to go back through the blog posts fully fixing and updating them. I wanted to salvage them so that they could continue to be used as crafty source for reference and inspiration. Dennis helped me to work through the old "According to Matt" posts, and together we made quick progress. It was lovely reading through all of my old posts, it was nice to reminisce and look through the photographs. I had no idea how much of a diary, my blog had become. It was a real joy looking through my past work. 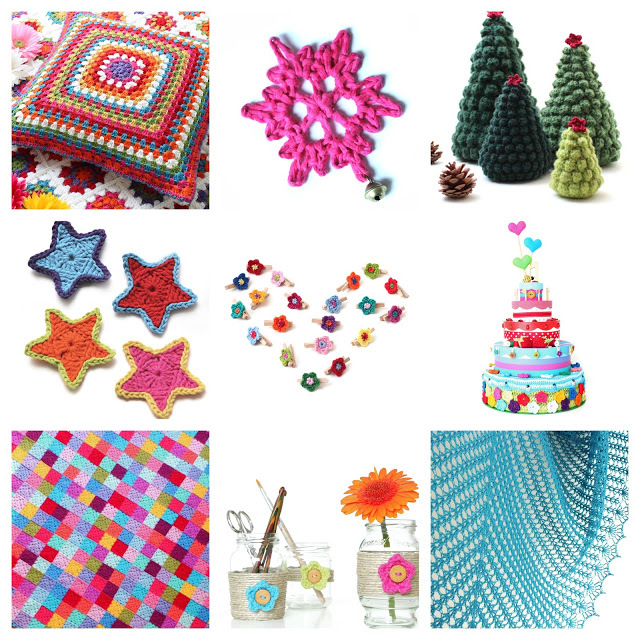 It inspired me, to continue writing a blog that is as much about crafting, as it was about my day to day life. I see now that we've worked so hard on the design of "Boys & Bunting" and work hard at trying to share new projects, that we've almost forgotten to blog about all of the other aspects of our lives, so I made a vow to get a little more personal with the blogging. Re-reading my old blog posts also made me want to share them again with you all. With that in mind, Dennis and I have uploaded all of the freshly salvaged "old" blog posts, making them available for you all to sift through. You can find the "According To Matt Archives" on the sidebar positioned to the right of each page. Alternatively you can follow the link here. We hope you enjoy reading through some of the old posts and looking at some of our old projects. Reading some of the old posts about the blankets we've created has really inspired me to get a BIG project on the go! I think I need to do a little more research though, as to what project that may be? Then I'll be off to buy some yarn....yiiiiippeeeee! Have a lovely week fellow hookers!! Hi Guys! I'm so sorry Dennis has been sick...hope he doesn't share, Matt! Can't wait for a quiet time to sit down and read through your past blog posts. I'm sure I will remember most of them as they were always quite enjoyable. Hugs to you both and hoping you have a wonderful week!